You’ve made it to Arberrang, you’ve gathered clansmen and warriors, and you’re probably going to be dead in a few weeks. Don’t worry though, everyone is dying with you! Well, unless you save everyone that is. 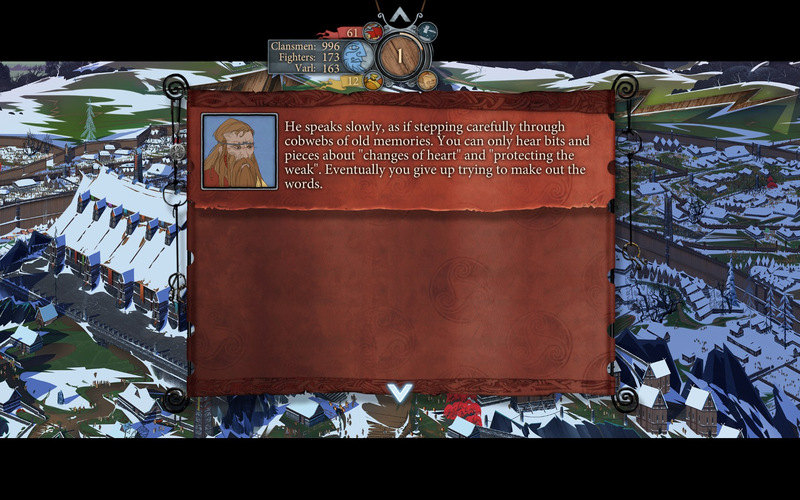 But to do that you need to use turn-based combat and make heart-shattering decisions that kill characters and murder innocents. 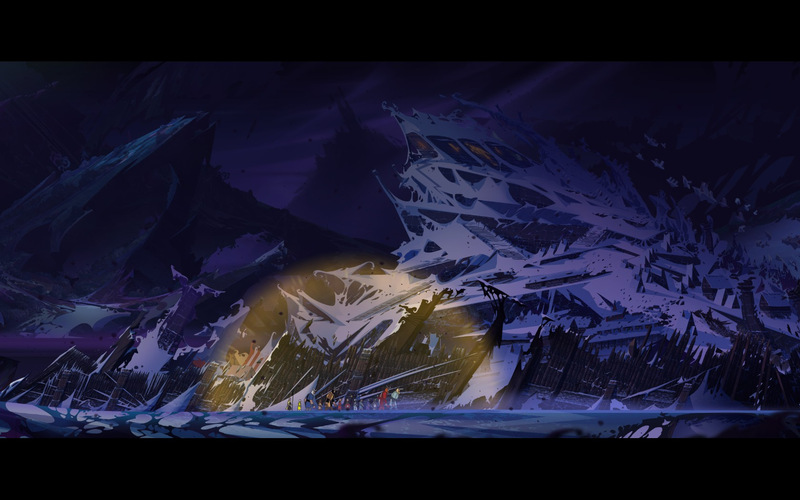 Do you have it in you to manage an internally collapsing city and plunge into the darkness in the hope for survival? Between stone colossi invading, an ocean-sized snake devouring the planet, and an encroaching wall of darkness, there’s a lot to fear this time around. 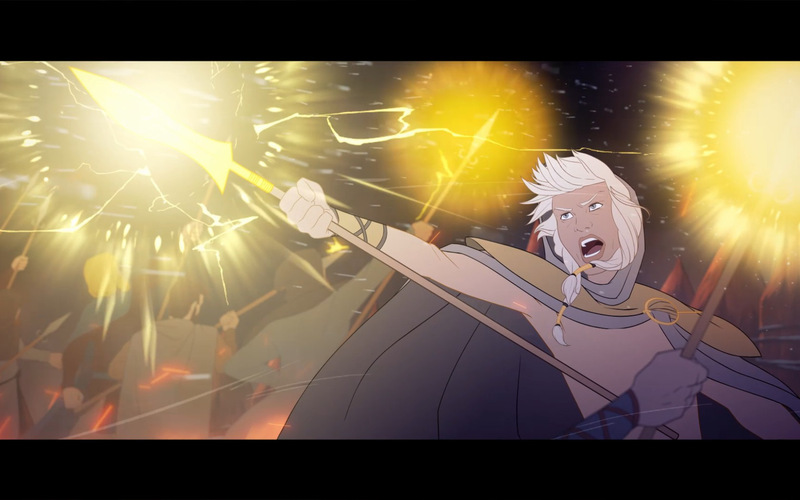 Unfortunately, The Banner Saga 3 only offers a bare-bones 100-second recap on the previous 30 hours of content that The Banner Saga 1 + 2 had. Thankfully though, those 30 hours are some of the most memorable of any game in recent history and are a joy to play. Just as in the previous installments, you control two groups of characters. One is managing a city on the verge of collapse, while the other ventures into an encroaching darkness to try and secure a future for life. The story will flip between these two groups at critical story points, and the way you play one of them will affect the other. 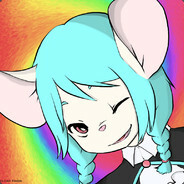 Who lives, if anybody, entirely depends on the choices you make on the way to the finish line. The lives sacrificed in the previous installments are harsh reminders that anyone is free game to kill and, at death’s doorstep, there are more opportunities than ever. The tension of knowing characters can die off, and of watching a proud city warp into shambles because of your choices leaves you hanging on every word to make the best decisions possible. Every choice matters, and more importantly are fair. Even when my favorite characters died off, I was the one responsible and it served to remind me of what’s in store for everyone if I fail either storyline. You'll be encountering friends and enemies, both old and new. 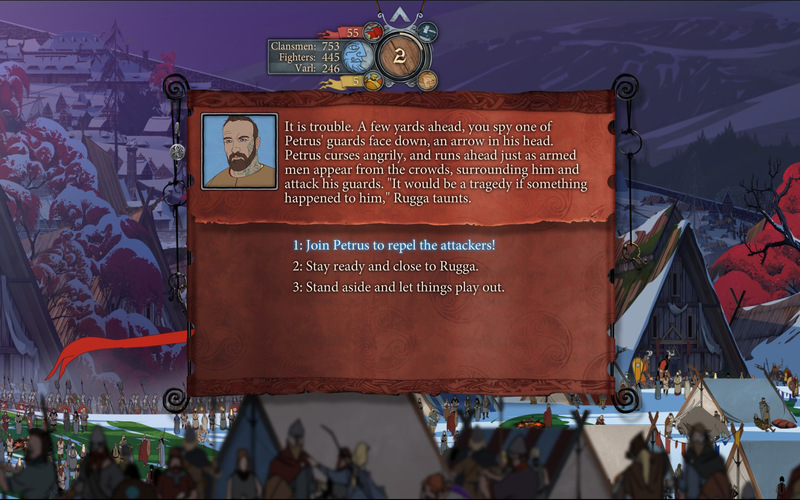 Unfortunately, many of these choices can lead into combat, which is a weaker aspect. The easy-to-learn, hard-to-master combat is engaging for a while, but becomes stale fast. 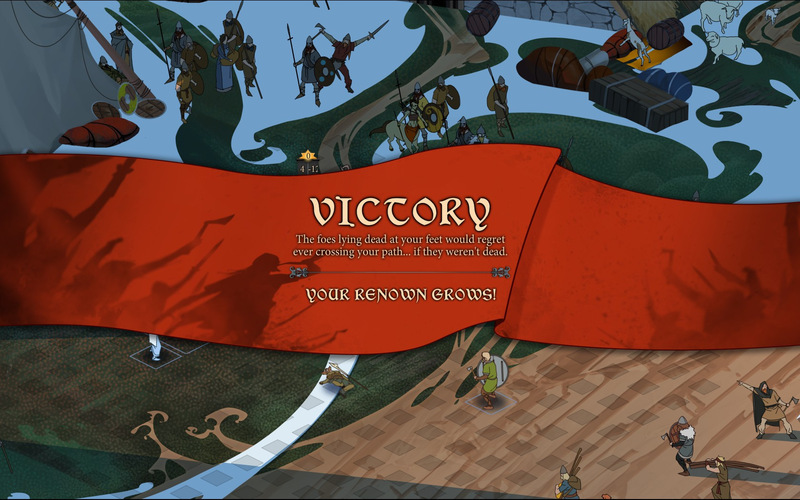 While there are rare exceptions of battlefields with patches of fire or obstacles, the overwhelming majority of combats end with you killing all the enemies just as every fight ended in The Banner Saga 1 and 2. The new upgrades and character abilities are fun, but racing to clear a flat, empty battlefield can only be engaging for so many hours. 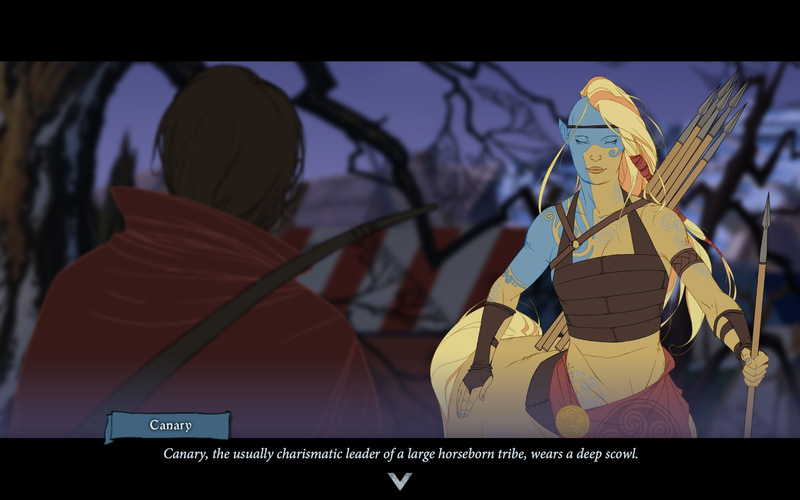 The new characters also add a level of originality to The Banner Saga 3. The new “witch” class, as well as the recruitable dredge allies and “title” level up system add some new possibilities to fights. 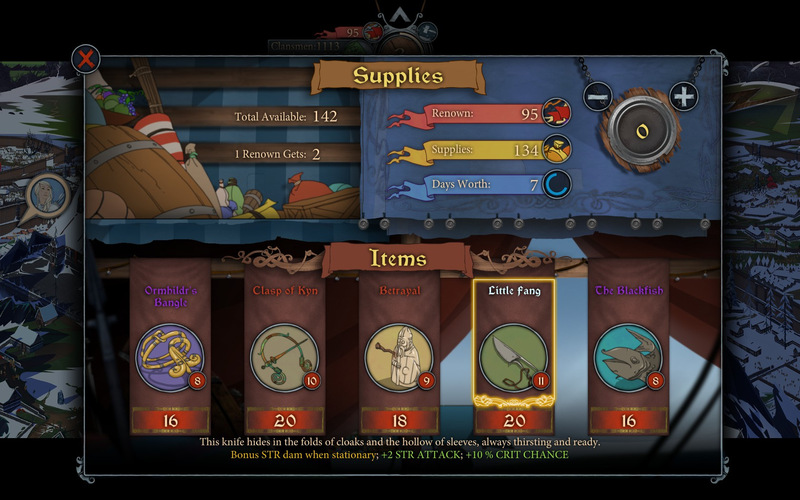 All characters are boosted to level 8 at the beginning of the game and can now go up to level 15. 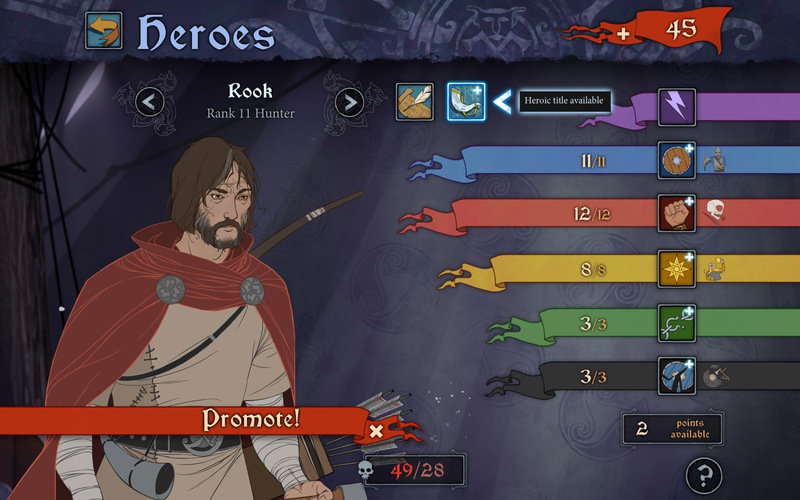 You can also assign “heroic titles” to 15 of your favorite characters, giving them further bonuses and special qualities like dodging attacks or damage over time. 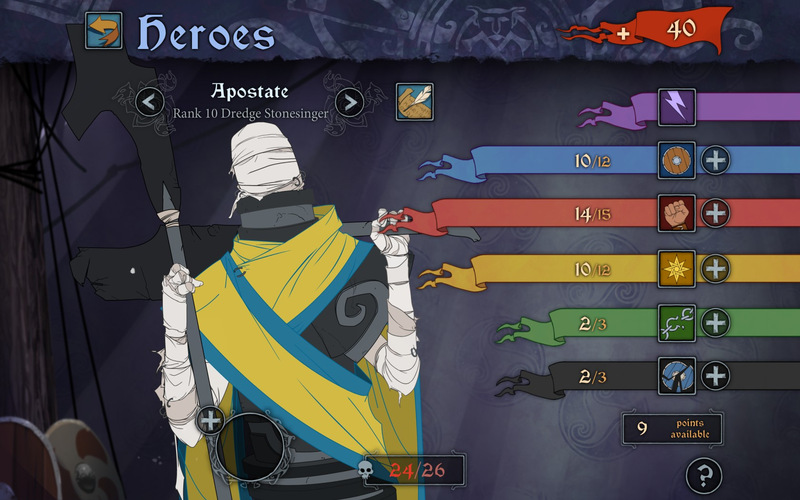 You’ll be needing these new buffs during the waves of enemies that The Banner Saga 3 throws at you. 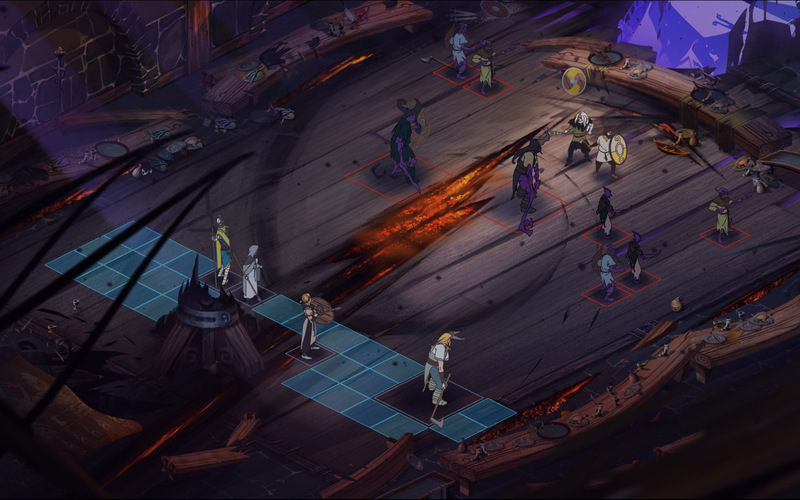 You’re able to decide whether to fight or flee after some combats, and if you choose to fight on you can change out your active party on the fly, but so can the enemy once you’ve cleared them out once, twice, or even three times for the chance at a powerful item at the end. These new additions are fun to play around with, but still don’t do much to change how you fight enemies from your first encounter. The combat is broken up by some of the best dialogue and hand-drawn artwork I’ve ever seen in any game. 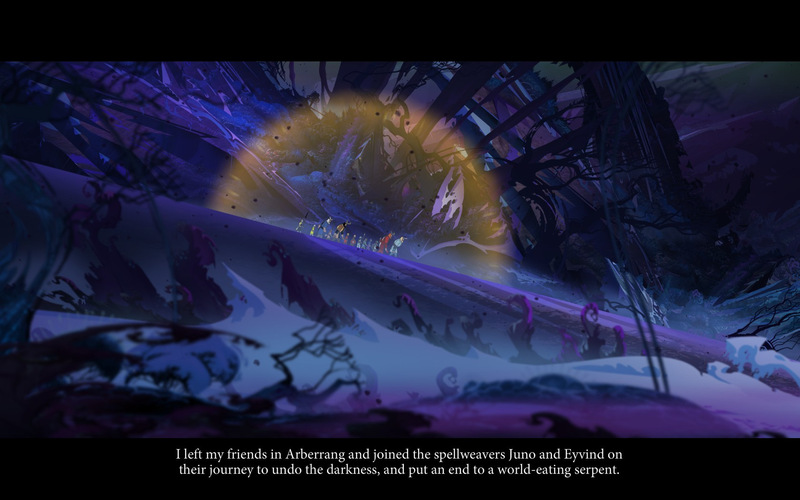 The quality of the artwork never dips, and the same can be said of the dialogue that keeps you engrossed in the fate of all these people trapped with you inside the walls of Arberrang or the darkness. The dialogue ranges from laugh-out-loud hilarious from eclectic characters to deeply somber from characters whose only goal is to feed their children in a city on fire. 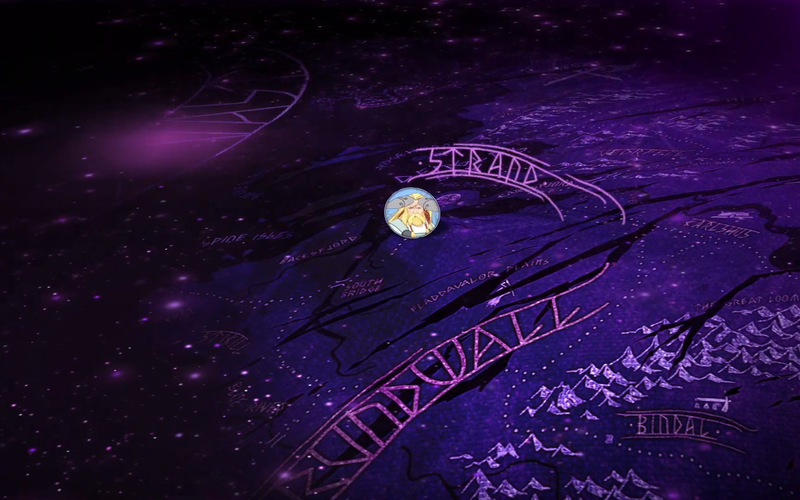 The soundtrack composed by Austin Wintory augments the pace of the game and bubbles underneath every scene of the game with old nordic instruments and climbing symphonic scores. The choices, and the consequences that come with them, are all on you. 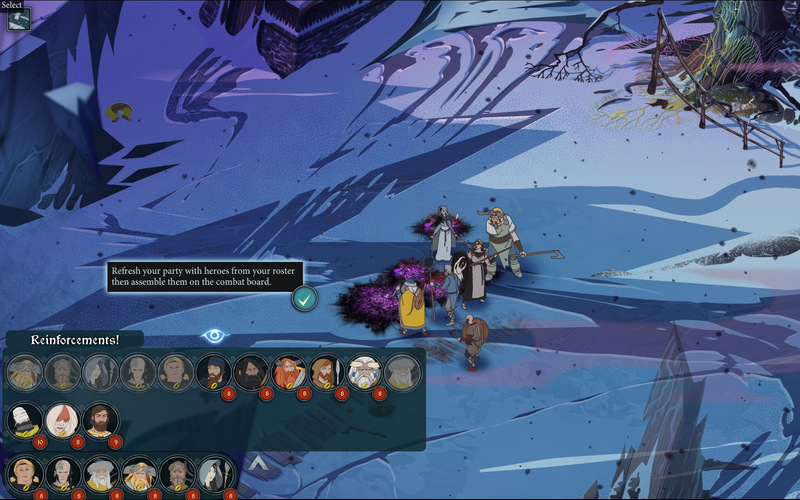 The end is closer than in the previous games but The Banner Saga 3 still clocks in at around 10 hours of gameplay. 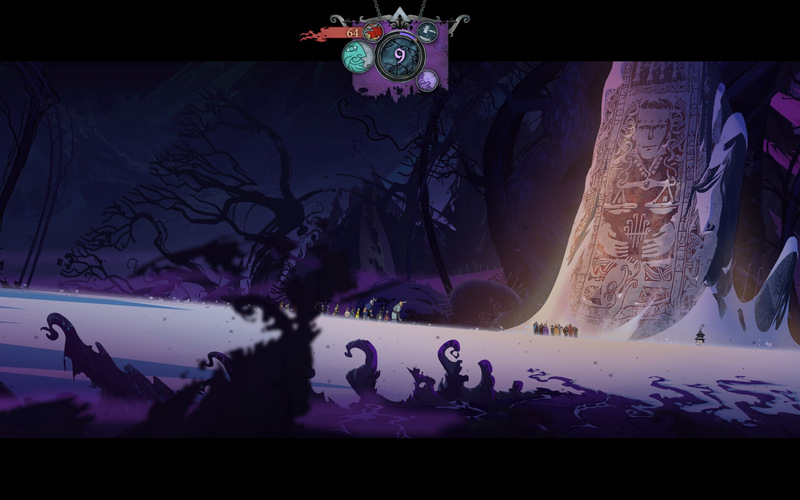 You’ll get a lot fewer of the sprawling, hand-drawn landscapes of the previous games, but much more detail in each one you’re shown. The same goes for the dialogue, where characters talk less but more substantial, quality dialogue has been written. 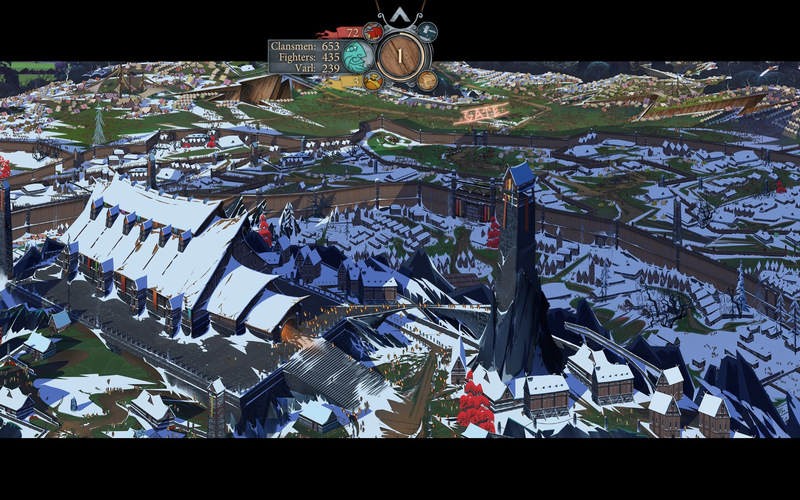 The Banner Saga 3 may be a smaller package than either of its predecessors, but more refined in nearly every aspect. This shortness lends itself to a more complete package, but seems to cut the story in awkward places. 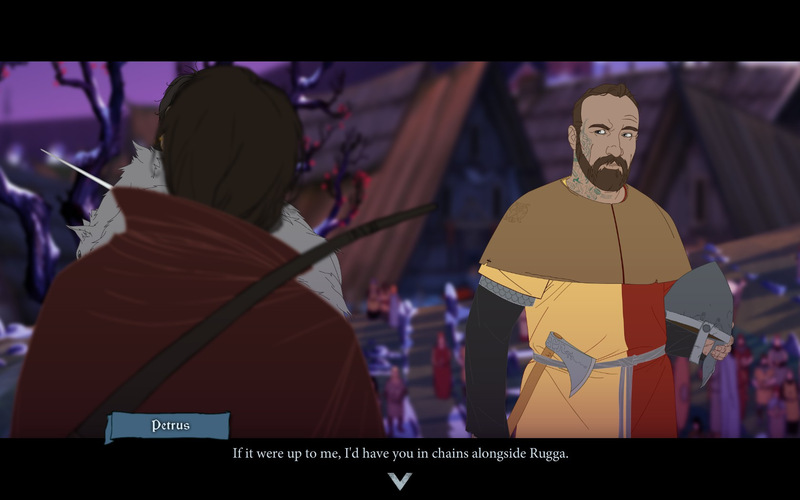 The beginning of The Banner Saga 3 seems to completely ignore the big stinger at the end of The Banner Saga 2 until several awkward minutes in. The same could be said of the very ending, where it felt abruptly cut-short as if someone forgot the last five minutes. Some minor character’s story lines were left unresolved, and some mysteries around the primary antagonist were left unanswered, but the trilogy’s primary plot was resolved well. Every choice matters. A choice to save a girl from a burning house over the supplies inside may have been noble, but people starved as a result. 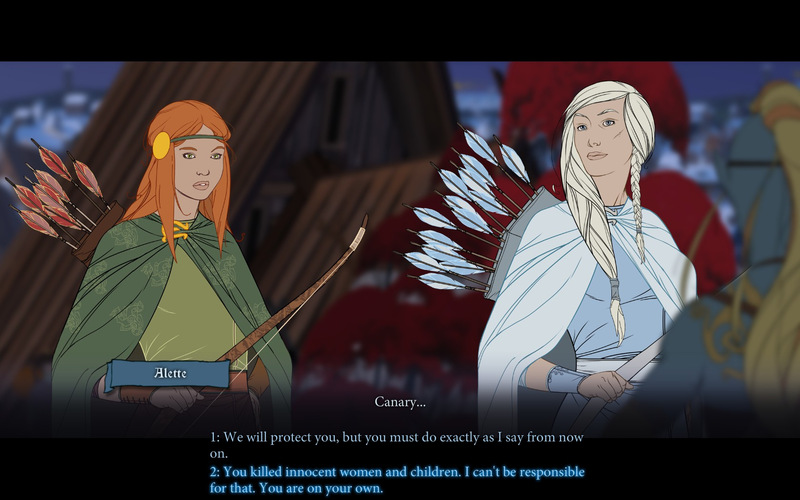 Other choices killed off playable characters, changed my relationship with NPC’s, and gave gave unique dialogue two chapters later. While no choice can ever end your run, they can flip your already dying world into one with madmen burning down houses for food. 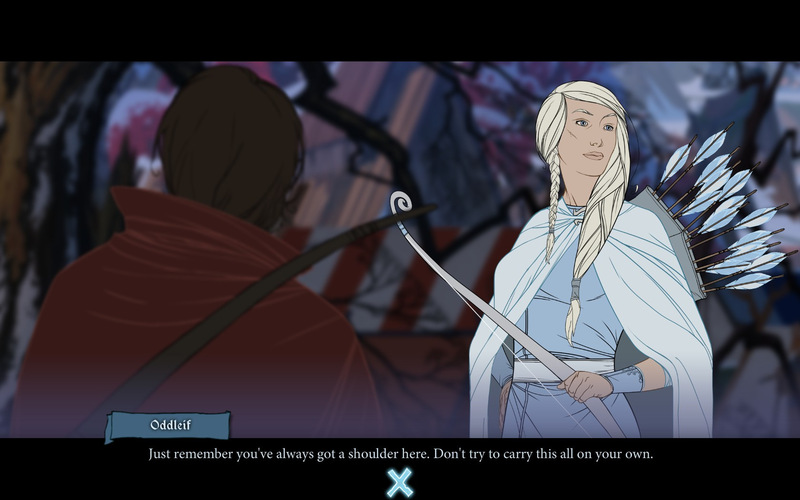 The Banner Saga 3 carries all the trappings of the prior games and is the darkest, most tactical, difficult, and plot-heavy of any of the games. While the branching and choice-heavy storyline more than werrants multiple playthroughs of this 10-hour gem; the combat can feel uninspired and some characters cheated from a fulfilling ending. 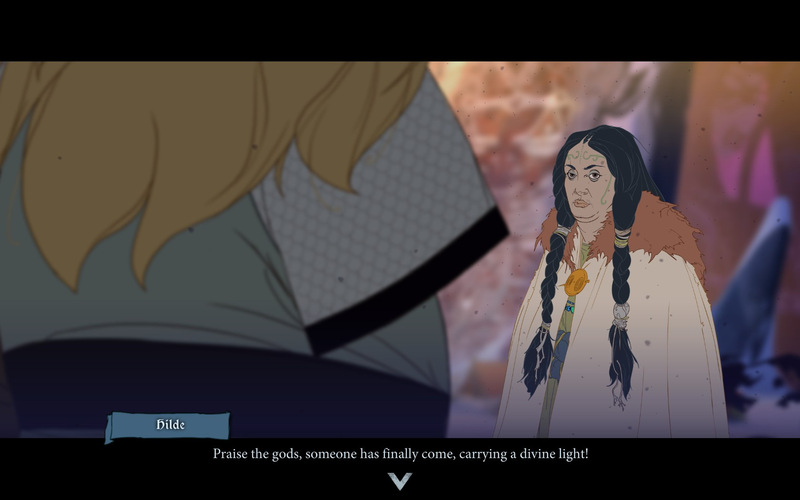 Despite this, the high tension plot, tactical gameplay, unique beauty and and unmatched dilemmas with The Banner Saga 3 made it the best journey I’ve had the opportunity to experience this year. Choices: Faced with the end of the world, some major choices with story-altering implications have to be made. Dialogue: The best written dialogue, both humorous and somber, in any series I’ve ever played. 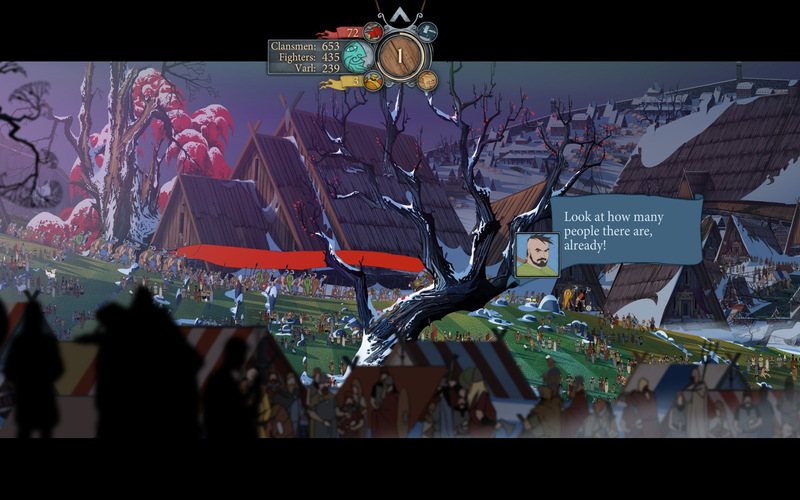 Art & Music: The art of The Banner Saga is unlike any other game, and is completely drawn by hand. The sound matches the art well, and swells at all the right moments. 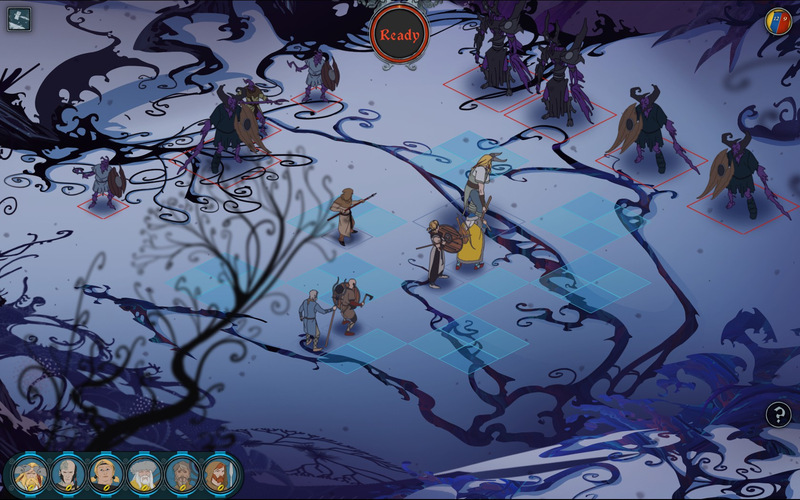 Combat: While the tactical gameplay has a unique, enjoyable flow to it and adds to the pacing, clearing the boards of enemies using the same stratagems is only fun so long. 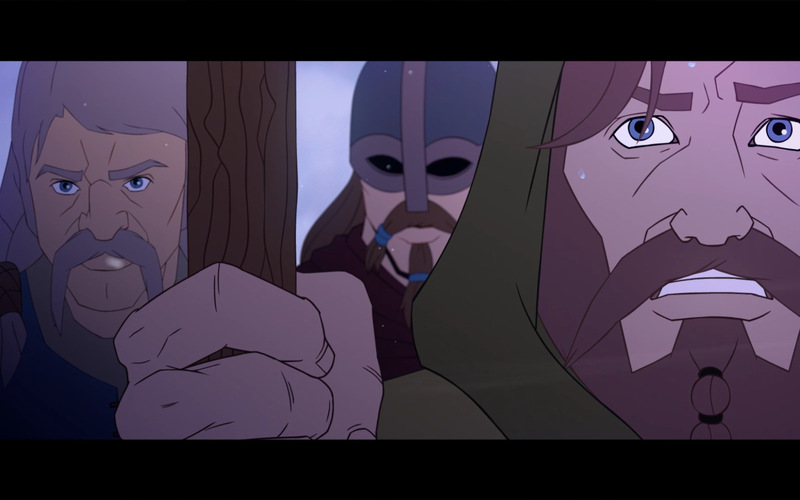 Story: The Banner Saga 3 answers lots of questions, and wraps up nicely, but leaves some of the more minor character’s storylines largely unresolved. 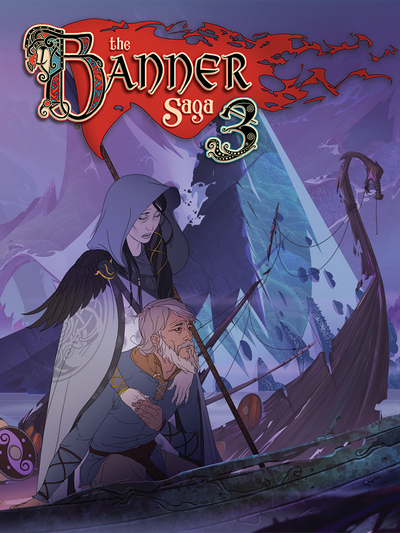 Length: The Banner Saga 3 is the shortest entry in the series, and feels underdeveloped in the very beginning and very end. 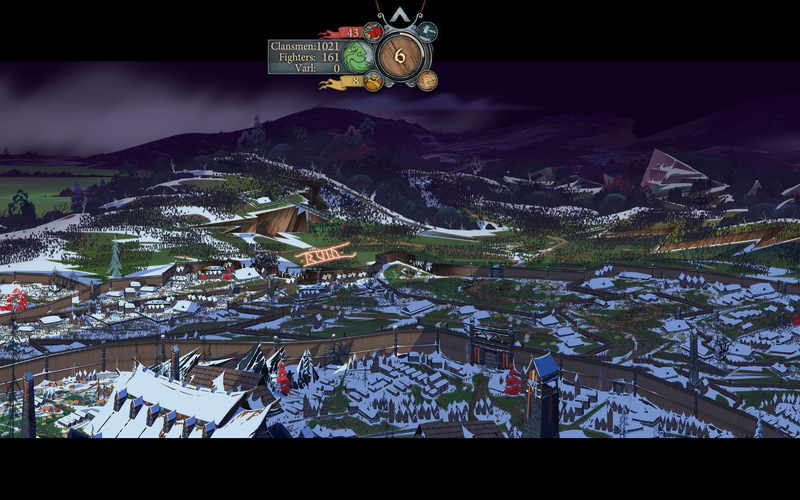 The end of the world makes for the beginning of a fantastic game. Audio: There are three bars to alter the audio. One for master volume, one for music and one for sound effects. There is also subtitling available for the few cutscenes. 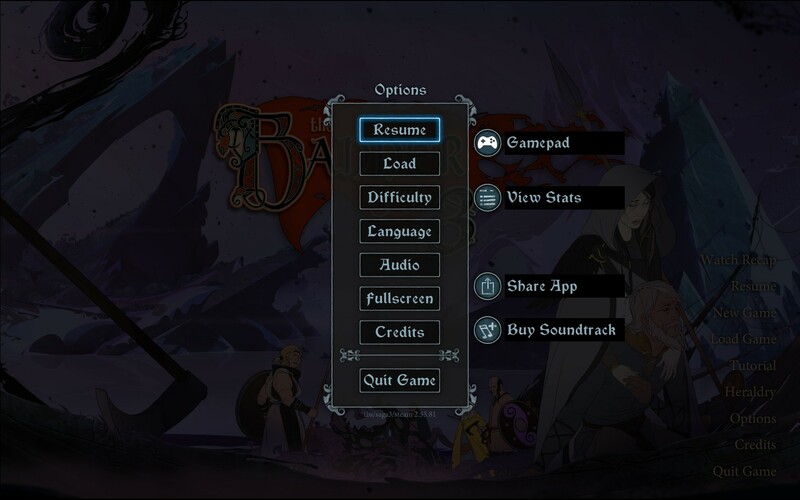 Controls: There are no control options; not even rebindable keys. Graphics: The only graphics option is choosing between windowed and fullscreen. 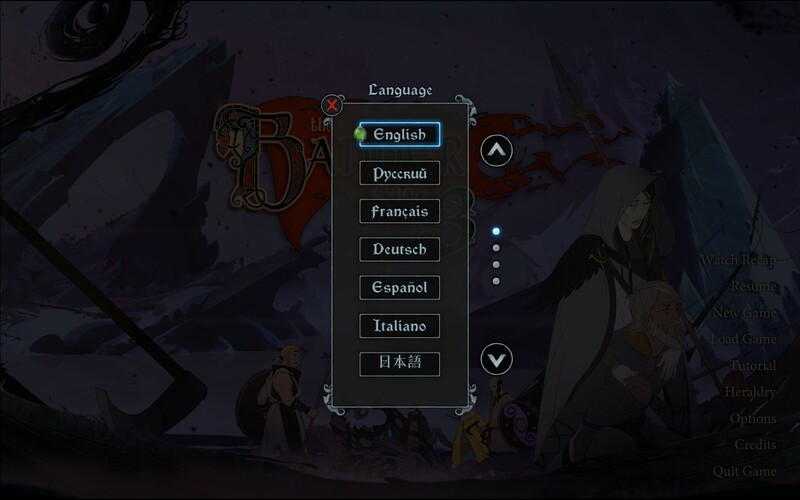 However, you can change the language the dialogue is written in. 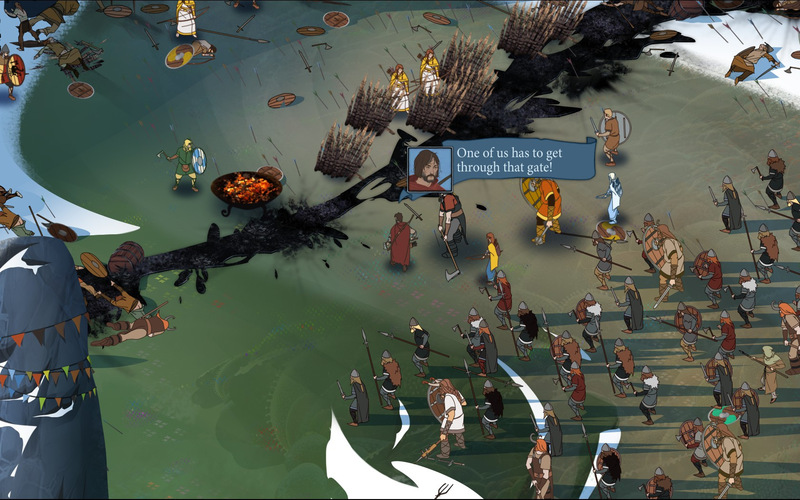 The Banner Saga 3 is an amazing story mixed with turn-based strategy and hero management. The first thing I can say about this game, and this comes even before any agitation I might have, is that the game is beautiful. The art and storytelling are both so well done that it by far makes up for any problems that exist outside of it. That being said, there are a few problems with the story, and the gameplay could use some kind of work, but I’ll be frank in saying I don’t know what. Since I’m not required to explain how the game functions, I’ll put my issues in a simpler format. 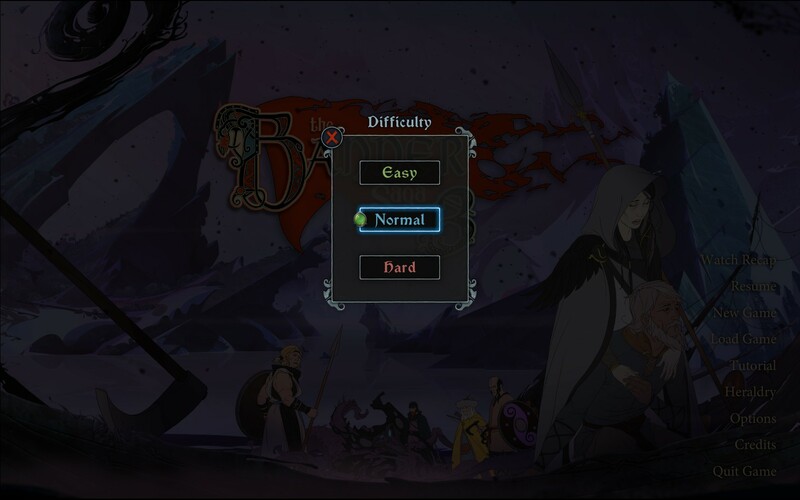 To begin with, the combat is either way too hard or way too easy. I’ll end up in a fight where I power through it without a moment of pushback, or I’ll just get slapped around like a monkey who stole an ape’s banana. Ranged units are the worst enemy I’ve come up against because they have an amazing ability to always show up at the worst time when I have the wrong units available, or just in hordes that knock out my guys through focusing. These aren’t inherently negatives, they’re actually quite smart tactics, however it makes the fights take a seriously long time sometimes. Other times I find myself bored with the combat for these very same reasons. I can’t even begin to give any comment on how to fix this problem, I think it’s just innate to the combat system. The only other problems I personally had were the way the decisions how laid out and how characters reacted to them; A character who is your best friend, and outright hates the person you’re talking to, should not be upset at you when you kill the hated person. Though several choices are given there’s no way to know at all if you’re making a good or bad choice; this is a positive. When you make a choice and it doesn’t tell you exactly what happens from it in a format that you can understand? That decision is a negative one. Finally the game relies very heavily on you having played the previous games in the series. They have a recap that basically does not give you enough information for the choices and questions it asks or topics it covers. Still, a good game, recommend playing the previous ones first though.